With the change of seasons, it’s time to update your home task list and get ready for spring. Don’t overlook basic maintenance during your preparations. These tasks may be among the least glamorous, but they’re crucial to keeping your home in tiptop shape. You should hire a professional to assess your HVAC system twice a year — shortly before you begin to use heating in fall, and again when you begin to use air conditioning in spring. A thorough inspection will address the thermostat, all electrical connections, lines and hoses, clean the condenser coil, all seals, refrigerant levels, the compressor, fan blades and all moving parts. They’ll also make sure the drain pain and evaporator coil surface are clean. An HVAC inspection usually takes only an hour or two and costs between $50 and $200. You may also have one available if you maintain a yearly service plan. Also, as always, check your HVAC filter and replace it if needed. 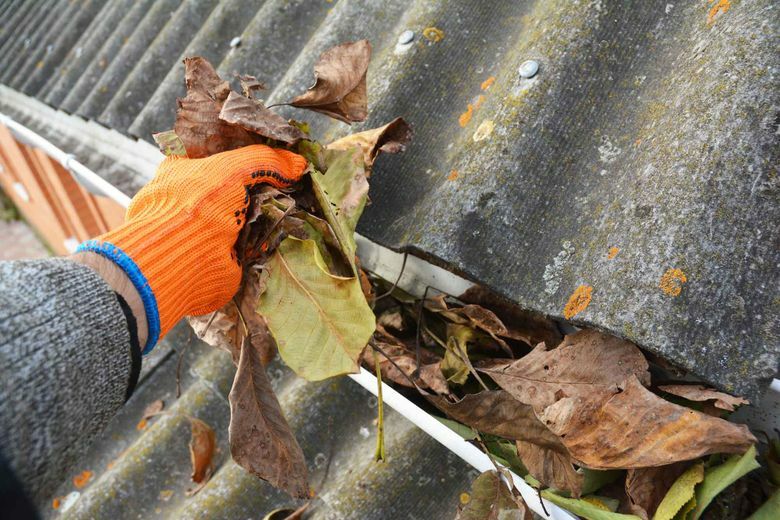 Branches, debris and leaves can build up on your roof or in your gutters over the course of the winter. A good gutter cleaning gives water a clear path off your roof, prevents roof leaks and helps preserve your foundation and basement walls. Also, verify that your downspouts direct water at least three feet away from your walls. On average, you can expect to pay between $100 and $190 for gutter cleaning. Cleaning up the lawn, flower and garden beds. Clear out all branches and debris, including leaves and yard waste in flower beds. Turn on any closed exterior water lines you shut down for the winter. Unpack and reattach hoses, and check for leaks. If you have an irrigation system, ensure it’s turned back on according to local codes. You may need to contact a qualified professional to check out the system and perform a backflow test. Get a professional to tune up your lawnmower and sharpen the blades. Dull blades tear grass, and can damage your lawn in the long term. If you’re planting this year, perform a soil test to determine your pH levels and nutrients. You can purchase a DIY test, but it’s best to have a local extension office or a professional help you understand the results and develop a plan to address your soil. Take a close look at your roof and attic. The effects of snow and ice buildup often don’t usually reveal themselves until spring. If you notice interior water damage or had significant ice damming over the winter, contact a reputable roofing company to perform and inspection. You may have damage you can’t see. In addition, if you had ice dams, you may need to add insulation to your attic. Inspect your deck or fence for safety issues. In particular, wood structures can deteriorate over time due to moisture or insect damage. Loose fasteners, railings and stairs can present hazards. A professional can conduct an inspection and address issues. Also, check your staining, sealing or paint job to see if it needs to be redone.